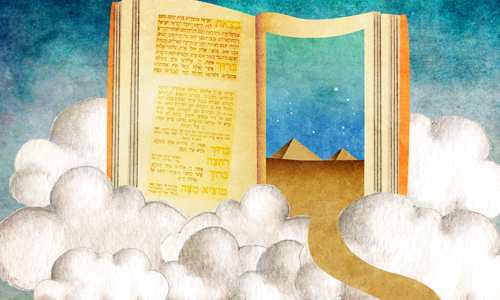 Passover 2019 will be celebrated from April 19 - April 27. 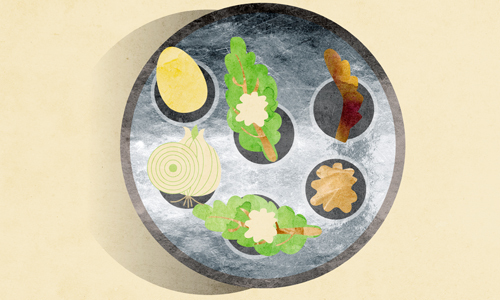 The first Seder will be on April 19 after nightfall, and the second Seder will be on April 20 after nightfall. The eight-day festival of Passover is celebrated in the early spring, from the 15th through the 22nd of the Hebrew month of Nissan, April 19 - April 27, 2019. Passover (Pesach) commemorates the emancipation of the Israelites from slavery in ancient Egypt. 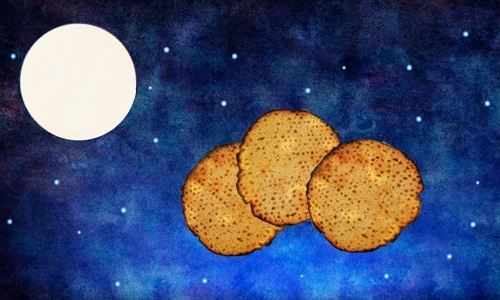 Pesach is observed by avoiding leaven, and highlighted by the Seder meals that include four cups of wine, eating matzah and bitter herbs, and retelling the story of the Exodus. In ancient times the Passover observance included the sacrifice of the paschal lamb, which was roasted and eaten at the Seder on the first night of the holiday. This was the case until the Temple in Jerusalem was destroyed in the 1st century. Click here for the full Passover story. Click here to learn why the Passover lamb is no longer brought. The first two days and last two days (the latter commemorating the splitting of the Red Sea) are full-fledged holidays. Holiday candles are lit at night, and kiddush and sumptuous holiday meals are enjoyed on both nights and days. We don’t go to work, drive, write, or switch on or off electric devices. We are permitted to cook and to carry outdoors (click here for the details). 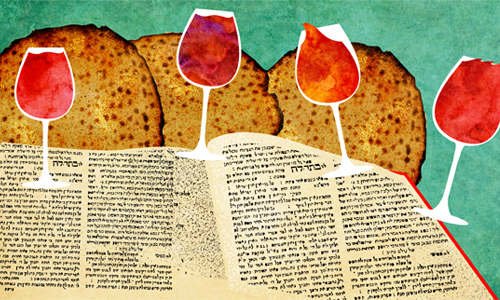 To commemorate the unleavened bread that the Israelites ate when they left Egypt, we don’t eat—or even retain in our possession—any chametz from midday of the day before Passover until the conclusion of the holiday. Chametz means leavened grain—any food or drink that contains even a trace of wheat, barley, rye, oats, spelt or their derivatives, and which wasn’t guarded from leavening or fermentation. This includes bread, cake, cookies, cereal, pasta, and most alcoholic beverages. Moreover, almost any processed food or drink can be assumed to be chametz unless certified otherwise. Ridding our homes of chametz is an intensive process. It involves a full-out spring-cleaning search-and-destroy mission during the weeks before Passover, and culminates with a ceremonial search for chametz on the night before Passover, and then a burning of the chametz ceremony on the morning before the holiday. 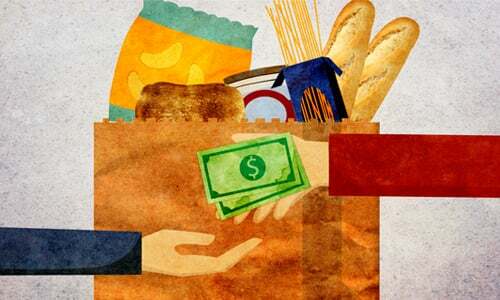 Chametz that cannot be disposed of can be sold to a non-Jew (and bought back after the holiday). Click here to sell your chametz online. It is ideal to use handmade shmurah matzah, which has been zealously guarded against moisture from the moment of the harvest. You can purchase shmurah matzah here. Passover, celebrating the greatest series of miracles ever experienced in history, is a time to reach above nature to the miraculous. But how are miracles achieved? Let’s take our cue from the matzah. Flat and unflavored, it embodies humility. Through ridding ourselves of inflated egos, we are able to tap into the miraculous well of divine energy we all have within our souls. Watch this inspirational video to get you into the freedom-filled Passover spirit. Thank you so much for your concise reply. I live in Jerusalem so your response is right on target!